The Film Studies Program offers a comprehensive academic framework for undergraduate studies in the theory and practice of analogue and digital storytelling leading to career choices in the Canadian screen industries and to further study at the graduate level. The program emphasizes experiential learning and is designed to nurture personal visions that will contribute to the growth and diversity of Canadian culture, as well as enhancing Canada’s presence in international film and video. In addition, the program aims to create flexible, quick-thinking, highly adaptable film/video makers capable of working effectively in a variety of circumstances and roles. Graduates are equipped to take advantage of many different artistic and commercial opportunities in the world of visual communication. Film Studies—Is It For You? If you choose the world-class Ryerson film program you will learn technical and storytelling skills that will lead you to be able to make short and long films: documentaries, fiction films and experimental films. You will learn by doing, working with your classmates to produce professional-level work. You will gain experience in all aspects and areas of filmmaking: cinematography, sound, editing, writing, producing and directing. At the same time, you will learn film history and the theories that will help you watch films with more insight. Take courses in writing, directing, cinematography, production design, editing and more. Study the entire spectrum of film genres, from fiction to documentary, experimental to animation. Become deeply immersed in the history and theory of the film medium. Learn about shot composition, working with actors, building narrative tension, principles of design and documenting the world around you. Work as an independent filmmaker, or as a freelancer in directing, producing, screenwriting, editing, cinematography, sound design or recording. Films made by Image Arts graduates have played at major festivals around the world. Explore support positions in production management, sound, camera, assistant direction and art departments. Engage in advanced studies through a graduate program in film or a related field. Work Placement: Build your practical experience and make valuable career contacts by completing an internship at a company in the film industry. Hands-on Training: Enjoy ongoing opportunities to apply classroom learning by contributing to the making of short films and videos in each year of your program. Practical Project: In your final year, put what you have learned about film theories, technologies and practices into action by directing or producing your own film or video, or focusing intensively on one of film’s specialized creative positions. Global Learning: Expand your knowledge of film theories and practices by participating in an international exchange program. Leading-edge Facilities: The film production facilities are fully equipped for creating and editing film and sound, while the high-tech Universal Studios Canada Instructional Demonstration Facility provides an optimal setting to screen work and make changes in real time. Comprehensive Materials: With Canada’s largest teaching collection of film, photography and new media materials, the School of Image Arts lets you put classroom learning into context. * Photo: Movie Posters by 1st year Film students (2015). 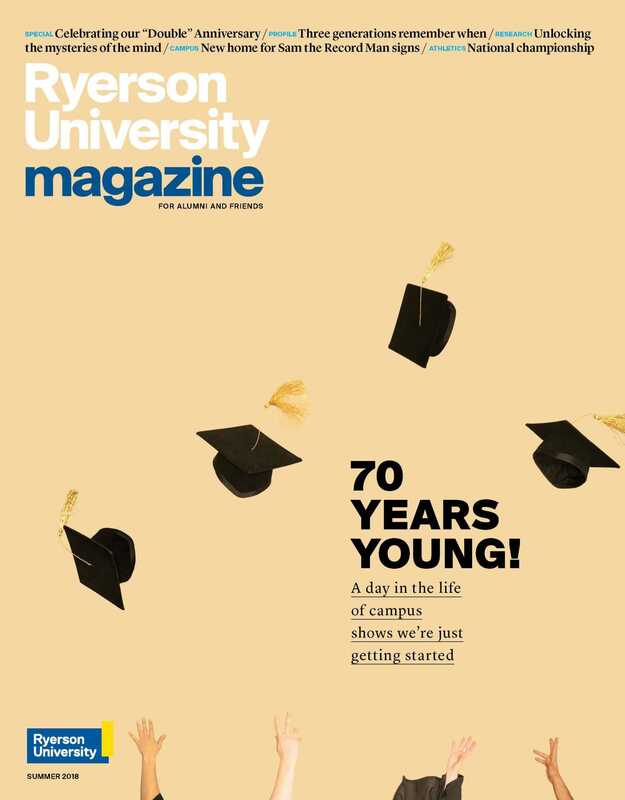 The Ryerson University Film Festival (RUFF) showcases the thesis films of the School of Image Arts’ film students, giving them an opportunity to network and screen their work in a public and professional setting.